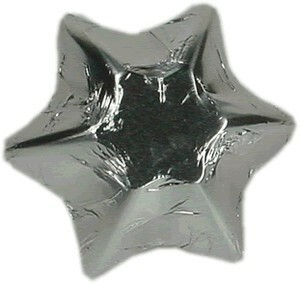 Delicious chocolate stars in SILVER. These stars will be an excellent idea towards bombeniere, table decorations or just as gifts. There is approximately 130 chocolate stars to the kilo!